Weekends are precious and rare and must be full of new adventures. Thanks to a surprise discount from Zoomcar, we spent a lovely Saturday driving to Malshej Ghat, located approximately 150 kms away from Mumbai. The best time to visit the Western Ghats is definitely the monsoon season, but we were not deprived of the stunning beauty this place had to offer. We started from Mumbai at 8 AM. The Zoomcar pickup is at the Domestic Airport terminal, located on the Western Express Highway, a well connected spot in the city. By the time we reached Thane, we needed breakfast. We stopped at a small cafe called Everyday Anday, serving delicious preparations of eggs. We ordered for Masala bhurji and Spanish omelette, alongwith tea and hot chocolate. Everything turned out to be sumptuous! The drive from Thane to Kalyan was quite turbulent – bad roads and bottlenecks. After battling much traffic congestion, we finally began our road trip on a beautiful road winding through the western ghats. This stretch, almost 70 kms long, is the primary way to Malshej Ghat if you are driving from Mumbai. As we drove further, we found gazebos and points to halt at for some stellar views of the Ghats. By afternoon, we had reached a resort called Saj, By the Lake at Malshej. The property is still under construction but they have a cheerful garden restaurant, clean and plush, serving decent food. It is nestled between the ghats and a beautiful lake, with strategically placed swings to enjoy the view. Beyond the resort, a narrow bumpy road leads to a lake, a picturesque solitary spot. There were no tourists or vehicles around the lake and we spent a lovely afternoon amidst the golden fields, ducks and the massive expanse of water. Malshej Ghat is also home to numerous waterfalls during the monsoons, which we missed out on, unfortunately. We began our journey home at around 4 PM, literally driving into the beautiful sunset as we were driving westwards. 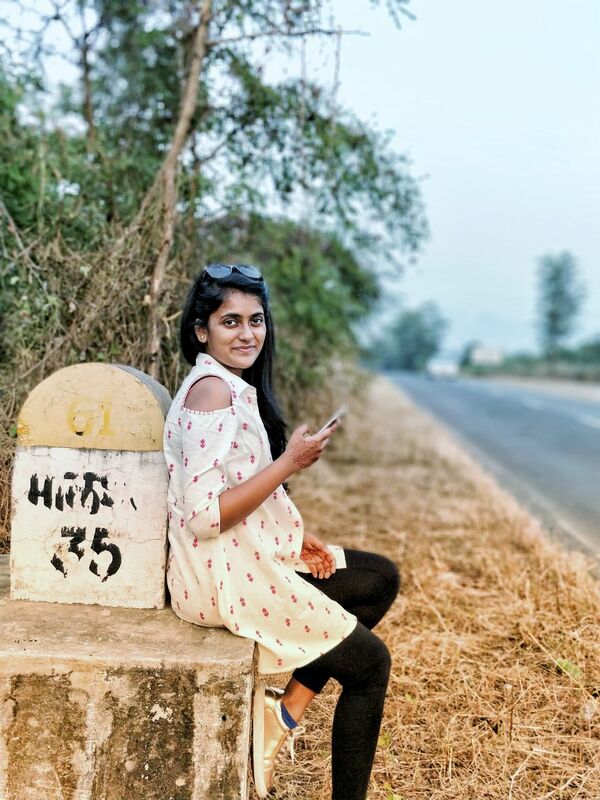 A perfect breezy travel playlist accompanied us on our memorable journey, along with no internet coverage, a much needed disconnect from the humdrum of our regular lives. If you have a vacant weekend looming up, pack some friends, uno cards and good cameras into a car and head to Malshej Ghat!